When it comes to blogging, how do you know what to write about? Follow our simple guide and you’ll have all the information and tools you need to start choosing the right topics for your blog. As we saw in last week’s Content Kitchen video, choosing blog topics can be a daunting prospect. You know that blogging is essential for content marketing and that you need to be publishing regular, high quality content in order for your content marketing to be a success. But when it comes to knowing what to write about, where do you start? Well, the answer is surprisingly simple: you start with your audience. There’s no point choosing topics at random or writing about what you find interesting, if it’s not going to engage your audience. So you need to direct your focus towards the people you want to attract to your business. What do they want to read about? What will they find interesting? What will they find useful? There’s no point choosing topics at random or writing about what you find interesting, if it’s not going to engage your audience. This is not a science but rather an empathetic exercise, as you try to work out what your audience would find interesting and relevant to their business. This sounds obvious but it’s actually surprisingly difficult to put into practice. Let’s dive a little deeper. First time visitors – those who have found your site through Google or social media. Readers – those who occasionally or regularly read your content. Subscribers – those who’ve signed up to your blog or mailing list. Leads or potential customers – those who’ve expressed an interest in your product/service or are likely to buy from you in the future. Customers – those who have already bought from you, and may well continue to do so. There’s a big difference between your customers – who already know your brand – and the rest of your audience – most of whom have never met you or done business with you. Your job is to fill in the gaps between these groups. Generally speaking, your blog posts should be ‘soft sell’ where you give value by educating and sharing your expertise with the goal of building a loyal audience. Regular blogging is a great way to build rapport with your audience as they get to know you through the tone and content of your posts. Regular blogging is a great way to build rapport with your audience as they get to know you through the tone and content of your posts. At Wildheart we have a standard process to help our customers choose the blog topics that are most relevant for their audience. We do this as part of our Essential Setup package. We want you to get the most out of your own content marketing efforts too, which is why we’re going to share our process with you. By the end of this post you’ll have the tools you need to be able to think more deeply and empathetically with your audience. You’ll also be ready to start loading your own content schedule, which we’ll be giving away free next week. This is the most important stage, as it sets out who your customers are, what motivates them to buy from you, and how they’re likely to interact with your business. We use a standard set of questions to find out more about your customers, which we then turn into a customer profile outline using a standard template. How will they be able to afford you? How does your business help them? How could your business help them in future? What resistance to buying do they have? We usually create 3 customer profiles for each client, as most businesses have more than one main type of customer. 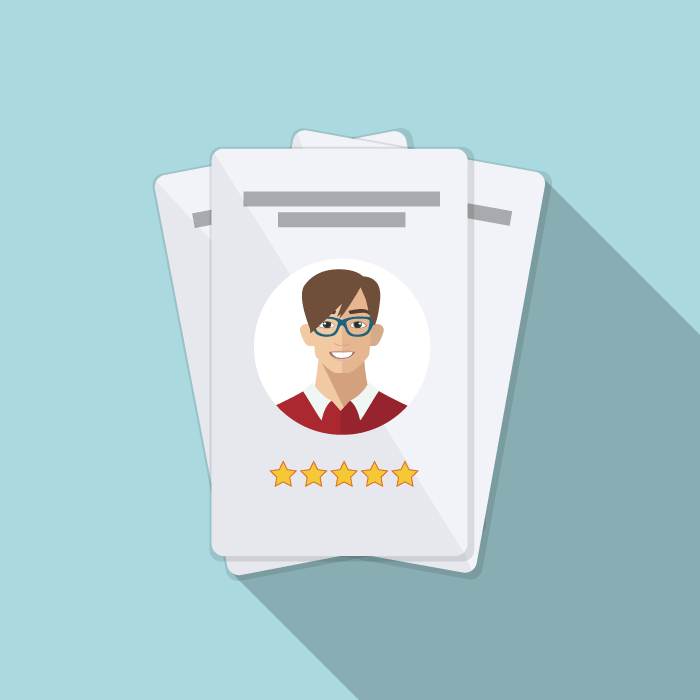 Bear in mind that over time your customer profiles may change, so they are not set in stone. If you’re launching a new product or service it may attract a very different type of customer than your existing business does, so you may want to re-visit your customer profiles and add to or amend them as necessary. Once you have a better idea of who your customers are and what they want, the next stage is to do some keyword research. Based on your customer profiles, you should be able to come up with a list of words and phrases that your 3 types of customers are likely to use online, when searching for the kind of product or service you offer. So now you can do a little research around those words and phrases to find out how often they’re actually used as search terms. The Keyword Planner offered by Google AdWords is probably the best and easiest free tool for your keyword research. Let’s say we’re searching for the term ‘content marketing’. You can enter this as your product or service and set the targeting criteria, e.g. UK, English, Google. You can select a date range and you can also customise your search using further variables. Using a basic search, you can see that the average number of times people have searched for this exact keyword is between 1,000 and 10,000 per month, which is fairly high. You can also see that this keyword has a medium level of competition. 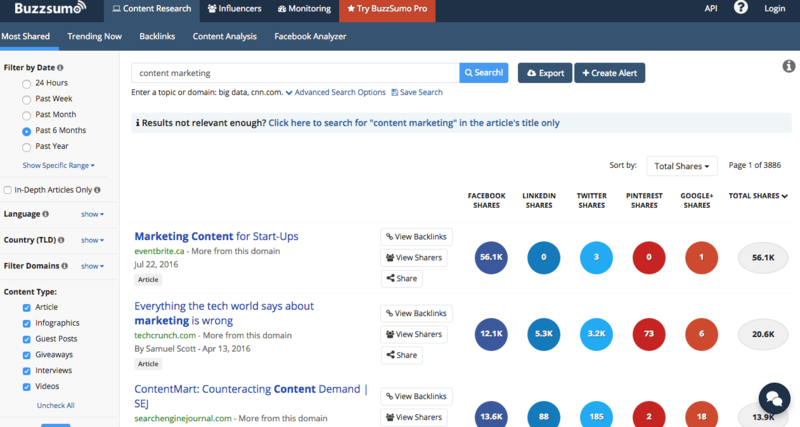 The tool will also give you related keywords, showing the average monthly searches and competition levels for each. This can help you find more blog post opportunities and may flag up relevant topics you hadn’t even thought about before. Keep in mind that a high volume and low competition are important, but relevance trumps both of these. So stick to relevant keywords and phrases for your industry, product or service and don’t stray too far off topic! Another useful tool for keyword research is Google Trends. 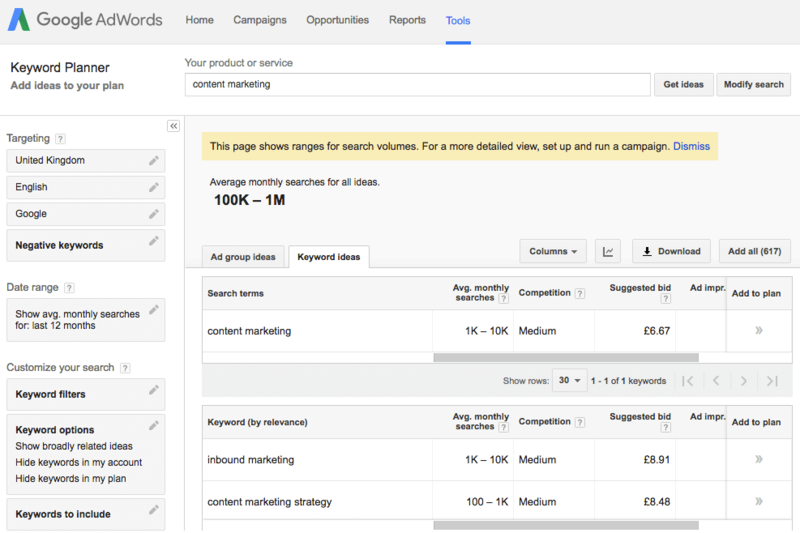 This gives slightly different results to the Keyword Planner and, as the name suggests, is based around keyword trends. 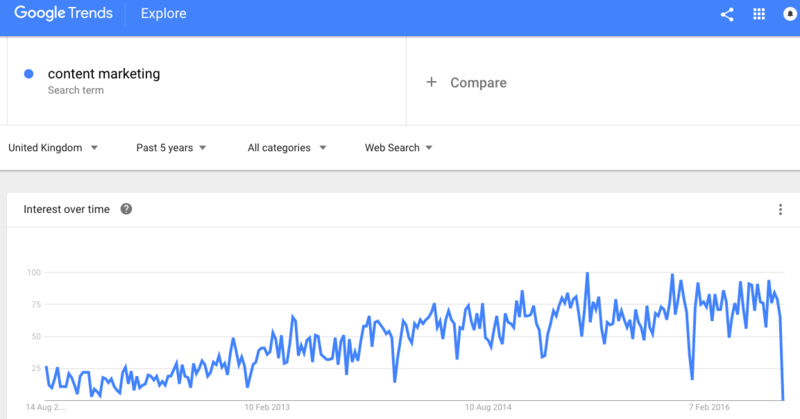 If we search for ‘content marketing’ in the UK over the last 5 years, you can see that this term has been steadily gaining popularity, with a few key peaks and troughs. Google Trends allows you to compare several search terms to see how they’re trending in comparison to each other. This is useful because it can help to inform your choices about which key terms to feature in your content. For example, if you discovered that ‘hairdresser’ was on a downward trajectory, but that ‘hair salon’ was trending upwards, you might want to use the latter term throughout your website and blogs, in order to stay in tune with your audience’s behavioural trends when searching online. 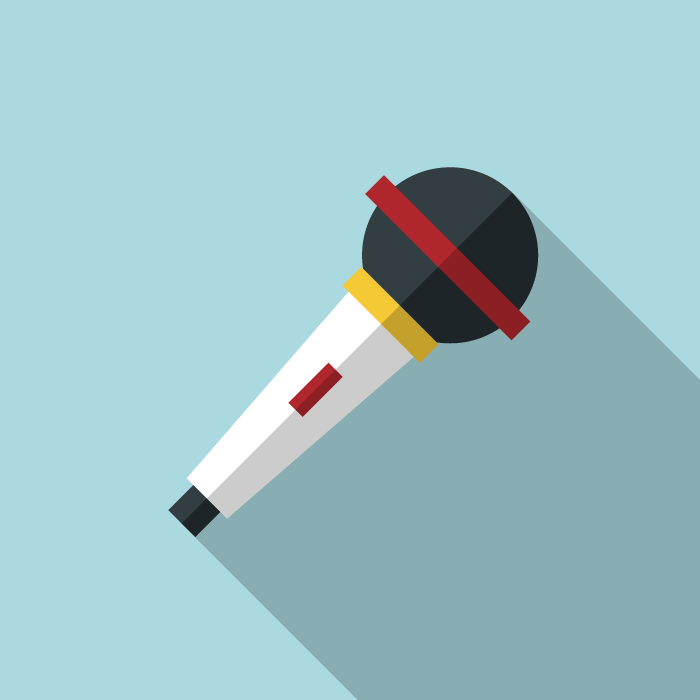 The third stage of your audience research should be around topics. Using the keywords you identified in stage 2, you can carry out some topic research to find out what’s trending around those keywords right now. You’ll be able to see the heading of each article, where it was published, and how many times it’s been shared across various social media channels. You can follow the links to read the articles so you can get a feel for what kind of content is the most popular, e.g. the tone of voice, the angle or opinion of the author, whether the article is informative, educative, entertaining, amusing, etc. By searching for your keywords, plus any related terms you came across in your keyword research, you can find out what topics are trending right now, and gather ideas for potential blog posts that will be relevant to your audience. Topic research should give you some good ideas about what to blog about for your audience right now. But you should always be thinking longer term too. Why? Because you want to be creating evergreen content that actually becomes more useful over time. It’s easy to get lost in the tools, so always come back to your customer profiles and trust your instincts and gut feel. Ok, so now you have an idea of the kinds of articles you could write around topics that your audience will respond well to. What’s next? The next step is to create a content schedule. This will help you plan your blogs, organising them into categories and deciding how and when to share them across your email marketing and social media. The good news is that we’ve already created a content schedule for you! Tune in next week when we’ll be introducing you to the power of the content calendar and giving away a free download that you can use time and time again to help you get organised with your content marketing. Does this sound like too much hard work? As you can see, there’s potentially a lot of work involved in researching your audience in order to make informed choices about your blog topics. If you’d prefer to get back to doing what you’re good at whilst growing your business, why not let us help you? how to keep them coming back for more. We’ll also fine tune your website to ensure it has everything it needs for you to start successfully growing your business with content marketing. « Content Kitchen 6: What should I blog about?